that manages your tables. 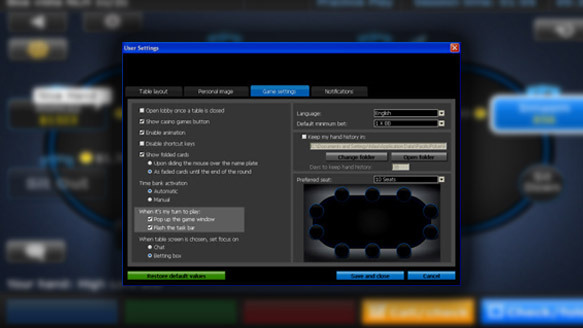 If an action is required on a table (tournament or ring games), the table window will pop up under your current active table. As each table requires an action the table windows will form a queue awaiting your attention. 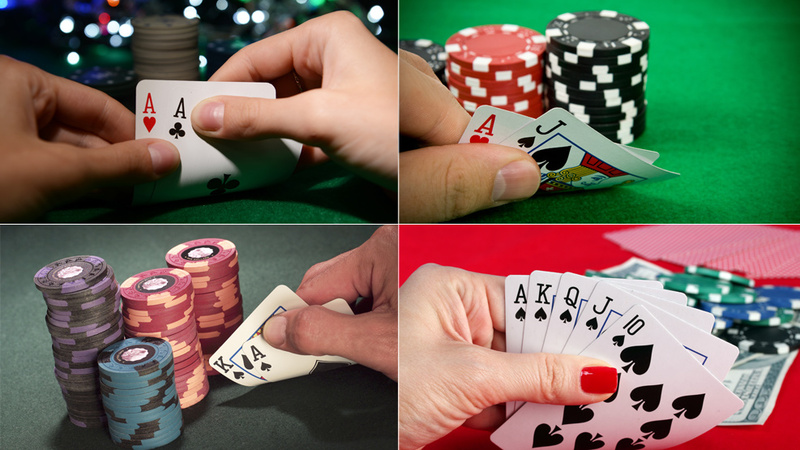 Once you perform your action on a table, the next table in the queue will pop up for you to act on, and so on. 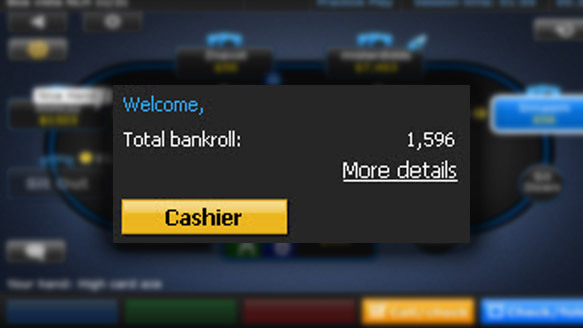 of how much money you have in your bankroll and how much money you have at the tables in the My Account box in the lobby's upper right hand corner (mouse over More details to reveal your detailed balance). 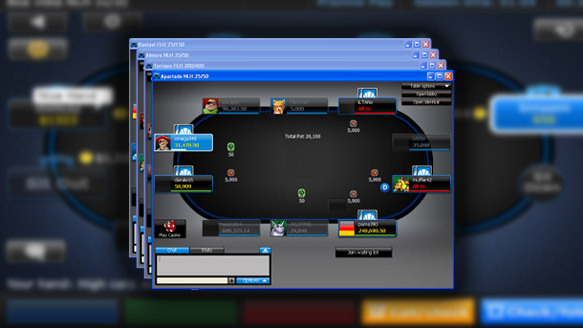 To save you from confusing your Real Money bankroll with your Play Money and vice versa, before transferring to the Real Money lobby, you will have to close all of your Play Money games and windows.